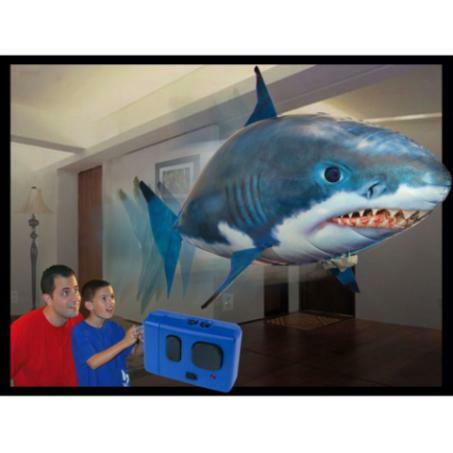 Give dad what he really wants for Father's Day this year -- his own remote control Air Swimmers Flying Air Swimmers Flyring Remote Control SharkRemote Control Shark. Keep dad and the kids busy for hours! Scare the cat! Freak out the dog! Stalk the neighbors with the incredibly life-like motion!